What's my Del Webb Frisco home worth? Enjoy low maintenance, resort style living just north of the Dallas Fort worth metroplex in the one of a kind 55+ community of Del Webb Frisco Lakes designed to meet the needs of active adults in mind. Located in Frisco Texas, Del Webb Frisco Lakes is within 45 minutes of Dallas, Fort Worth and DFW Airport near the cities of The Colony, Prosper and Little Elm. Easily accessible highways are 121 Sam Rayburn Tollway, highway 380 and the Dallas North Tollway. Several major companies (Toyota, State Farm, Liberty Mutual and Fedex) are flocking to the area due to the prime real estate, excellent climate and thriving economy in North Texas leaving hundreds of employees looking to purchase Del Webb Frisco Lakes homes for sale. Del Webb Frisco Lakes in Texas is conveniently located within minutes Stonebriar Center, Ikea, Nebraska Furnitue, Dr Pepper Arena (Home of the Dallas Stars), Dr Pepper Ballpark (AA minor league baseball affiliate for the Texas Rangers), Toyota Stadium (FC Dallas Pro Soccer) and even the Dallas Cowboys are building their new state of the art training center just minutes away from Del Webb Frisco Lakes. Lake Lewisville offers real estate opportunities for lake front homes and excellent golf course views and also allows easy access for recreational activities on the lake. Tom Thumb is just outside the Del Webb Frisco Lakes neigborhood, Wal Mart is 5 minutes north and Centennial Medical Center Frisco & Baylor Medical Center Frisco are both just a short drive away. Information about Del Webb Frisco Lakes homes for sale and Del Webb Frisco Lakes real estate can be found at our office just south on FM 423 main street from Frisco Lakes. Stop by or call Renee Mears Realtors for available lots and new home floor plans available in Del Webb Frisco Lakes. Click on the tab above to find out the value of your Del Webb Frisco Lakes home. When looking to buy a home in Del Webb Frisco Lakes or sell a home in Del Webb Frisco Lakes it is always best to use an experienced Del Webb Frisco Lakes Realtor. Del Webb Frisco Lakes is in its own little world offering endless amenities for active adults and retirees. Within the community of the Del Webb Frisco Lakes homes for sale are two clubhouses, one is a 28,000 square foot Village Center & Sports Complex featuring a large ballroom, library & learning center, computer lab, billiards hall, indoor lap pool and spa, outdoor resort style pool & spa, 4 tennis courts, bounce ball courts and miles of biking & walking trails. The newest clubhouse features a fitness center with a community fitness instructor, indoor walking track, aerobics and dance studio, card rooms, hobby and game rooms, pickleball courts, horseshoe pits and an outdoor pool and patio. 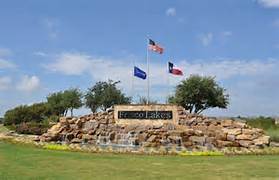 The Frisco Lakes Golf Club is a 7,100 yard par 72 golf course designed by architect Gary Stephenson and provides preferred tee times & discounted green fees for Del Webb Frisco Lakes residents. Del Webb Frisco Lakes homes for sale range from the low $200k to low $600k and offers real estate opportunities to active adults looking for single family homes, golf course homes, lake view homes, pre owned homes or new home construction. Construction began in 2006 and is expected to include around 3,000 homes when finished. Future Developments are being constructed by Pulte homes and several pre owned homes are on the market. Click on the tabs above for neighborhood specific: area info, school info, demographics, neighborhood maps, recent sales & home values. If you are interested in Del Webb Frisco Lakes homes for sale call Renee Mears at 972-489-0828. Pretty red brick, one owner Glen Cove floor plan with Plantation Shutters, custom draperies, new carpet and move-in ready. Non smoking owner with no pets, front storm door, double patio doors leading to a nice back porch, a spacious master bedroom with a double sink bath with walk-in closet. A sunny kitchen includes the refrigerator, a farm style sink, gas range & oven, built in microwave and a built in security & personal monitoring system with panic remote. A lovely, well cared for and low maintenance home. Versatile Pine Spring floor plan offers space & function. Breakfast nook, breakfast bar & open dining-living combo make entertaining easy! Plenty of counter space in the kitchen. Covered patio overlooks greenbelt. Roomy front study w French doors offers privacy. A wall of windows adds natural light in the master. A step-in shower with built-in benches, dual sinks, two medicine cabinets & a spacious walk-in closet complete the master suite. The split bedroom arrangement is great for overnight guests. The utility room features built-in cabinets PLUS extra shelving, right across the hall from the linen closet. Zero-fee loan available on this listing. New Roof, New Furnace. Kitchen & garage refrigerators convey. 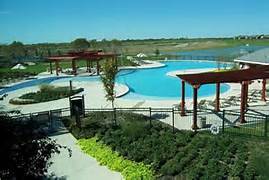 Amazing Senior Community in Frisco Lakes by Del Webb. Impeccable open floor plan features 2-bed 2-Bath home ready to move-in. Spacious Master bedroom with with walk-in closet, attached walk-in bath with double sinks. Ideal Split bedroom plan adds privacy for guests. The kitchen features built-in microwave, black appliances, lots of cabinets and breakfast bar that over looks to the bright open living and dining area. Come and enjoy all the amenities that this community offers; Golf, Hike-bike trails, outside and indoor pools, tennis, fitness center, library, computer room, pool tables. Come tour this breathtaking community today! Perfect backyard retreat behind this charming Newport 2-bed 2-bath home. Captivating lanterns lead along landscaped walkway to shaded porch. Open the door to hardwoods throughout living areas, with carpet in bedrooms. Spacious kitchen w granite counters & enticing breakfast bar overlook the open living & dining space. Split bedroom arrangement adds privacy for guests. Master suite bath has dual sinks & walk-in closet. Oversized covered patio with stone floor that continues out into contoured yard. Mature trees & shrubbery offer privacy and shade on hot Texas days. Flower beds & sprinkler system make this compact yard serene and inviting, with flagstones along the side. ZERO-fee loan available on this home. Soothing earth tones abound in this delightful Gray Myst floor plan. Before heading straight for the private terrace beckoning you through the double bank of sliders, stop in the home-style kitchen first for granite counters, stone back splash, farm sink, plus a bay-windowed breakfast nook. Notice the table-height breakfast bar as the dramatic view across the tree tops draws you through the great room to that covered terrace with flagstone floor, outdoor kitchen, & rock wall seating with custom water feature. Master also offers tree-top views & split bedroom plan gives privacy to guests. Guest bath features granite counter & bronze fixtures. Adjacent study can be used as a 3rd bedroom. ZERO-fee loan available! This immaculately presented home is set amongst lovely manicured homes within Frisco Lakes, the Active Adult Del Webb Community. The living and dining area has sliders that open to a quaint patio perfect for relaxing and entertaining. The welcoming kitchen has updated SS appliances and granite kitchen counters. Plantation shutters brighten the rooms and the master bath has an updated spa shower. 2 BRs and 2 full baths, a breakfast nook and a dining area, and a laundry room with a sink, this is one you will want to see! Popular Pine Springs plan on great lot - Foyer leads directly into spacious family room & dining area. Study-flex room boasts double doors for privacy & is adjacent to family room. Huge kitchen offers black appliances, gas cooking & eat-in kitchen area. Pass thru to kitchen has room for 2-3 stools. Master suite features triple windows, dual sinks, large separate shower, medicine cabinet & walk-in closet. Guest bedrooms & bath are split from master. Full size utility room. Covered back patio & large backyard. Enjoy the amenities of Frisco Lakes a Del Webb 55+ Active Adult Community. Beautiful area with 3 pools, golf, workout facilities, walking trails and much more. Beautiful Pine Springs plan on cul-de-sac lot w-sought after tray ceilings, extended covered front porch, professional landscaping & many upgrades. Spacious open family room & dining area adjoin Study-flex room w-French doors. Large Kitchen has stainless steel appliances, granite counters & gas cooking. A light bright eating area in kitchen looks out to patio & backyard. Master Ste has wall of windows, dual sinks, large separate shower & walk-in closet. Guest bedrm & bath are split from master. Wood, ceramic tile & carpet. Ceiling fans thruout. Well landscaped yard has private covered patio, stone borders on flower beds. 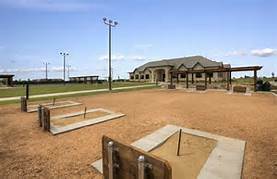 Come join us at Frisco Lakes a Del Webb 55+Adult Community & enjoy all the extra amenities. Do you yearn for outdoor living space? You'll love this Magnolia floor plan and the backyard retreat behind it, including built-in outdoor kitchen and lush privacy landscaping. You'll have three bedrooms plus a study. Master suite has his'n'hers walk-in closets, along with dual sinks in the master bath. Spacious family room is light-filled and opens out to that exquisite jewel of a back yard. Open floor plan with dining and family room space features unique porcelain tile flooring. Third bedroom can easily be set up as an office, leaving the study with french doors to be set up as a day room, or even formal dining. Oversize garage has shelving and a work bench. ZERO-FEE loan available for this lovely home.